This week’s 50th anniversary of the Great Proletarian Cultural Revolution threatened to pass officially unnoticed until in the very last hour of the actual day marking the kickoff of the campaign, People’s Daily ran an editorial under the authoritative pseudonym “Ren Ping”. 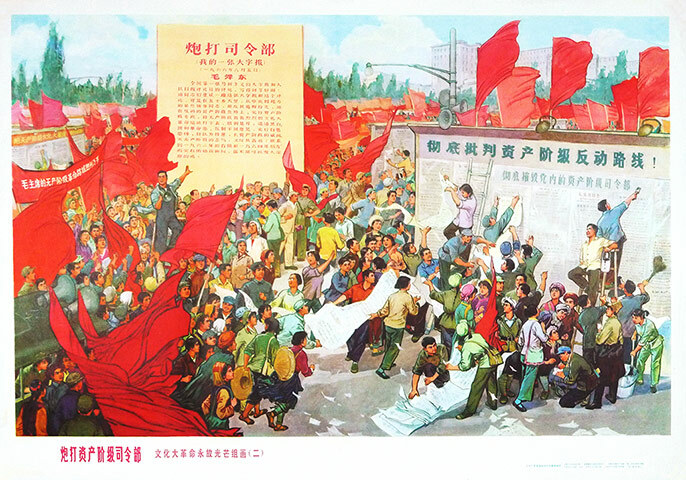 The commentary is somewhat important where content is concerned, in that it reiterated the verdict reached in 1981 that the Cultural Revolution was an enormous mistake that originated at the apex of the political system (read: Mao and both his supporters and those who did little or nothing to stop or at least deflect him). It's more important for the reasons it appeared. There was no attempt at all in the commentary--or the few essays that accompanied it—to revisit the Cultural Revolution in terms of what happened, or why. This was a commentary of reconfirmation, without a hint of interest in a reinvestigation. Indeed, the very placement of the commentary in the printed edition—on an inside page—indicates that this was not meant to be a trumpet blast, signaling something new from Beijing, but just a continuation of the same soundtrack that’s been playing for decades now. Still, that the commentary appeared at all is interesting, in particular from the perspective of local officials and their own concerns. In the immediate run-up to the anniversary, Chinese social media became inundated with comments about the reasons and ramifications of the Cultural Revolution, tales of individual experiences and tragedies in far-flung regions, and the odd interpretative analysis. The brilliant Chinese intellectual Qin Hui weighed in with quite possibly the most provocative essay, arguing that perhaps the prime political lesson about the Cultural Revolution a half-century later was that one shouldn’t try to overthrow a leadership in modern China. Many people were asking questions, and more than just a few were seeing answers—but answers from others in cyberspace, not from Beijing. Social media was starting to scribble its own history of the Cultural Revolution. As the day of the anniversary wore on, many were finding that getting information about what some have called “China’s lost decade” was easy. It wasn’t what was being said, but evidently that things were being said at all. The leadership in Beijing seems to have believed that if they didn’t talk about the anniversary directly or publicly, others would understand that they needn’t—or shouldn’t—either. But that was a miscalculation on someone’s part in Beijing. It had to be worrisome especially to political hardliners that the conversation was taking place and starting to pick up pace. It was probably worse for local officials, who had to be using their contacts to implore the central leadership to provide them with some direction. Should the discussions continue? What measures should be adopted to stop the postings? Was the central leadership authorising these comments and the conversation as a whole, or were decisions about to be made to rein them in? When would local cadres receive the necessary instructions—or was the lack of instructions a directive in itself, that it was acceptable to allow the conversation to continue, perhaps to build into a dialogue between the Party and the public? The social media posts, the proliferation of comments about the Cultural Revolution, and the appearance of well-known scholars whose writings are seen by the government as suspect—all of these had to be vexing for local officials, and an effort that could undermine whatever political consensus was present in Beijing. And it's a complex sort of consensus, very sensitive to the Cultural Revolution. The Right in China—or what’s left of it—had been using the anniversary to warn about Communist party chairman Xi Jinping being cast as the Great Helmsman and the dangers thereof. Social media saw that this view was being broadcast more widely. Leftists were wondering what all this discussion about "supply-side economics" was coming from (no matter how it was being defined) and why Xi wasn’t more of a Maoist. Or were the critiques about Mao actually attacks on Xi? 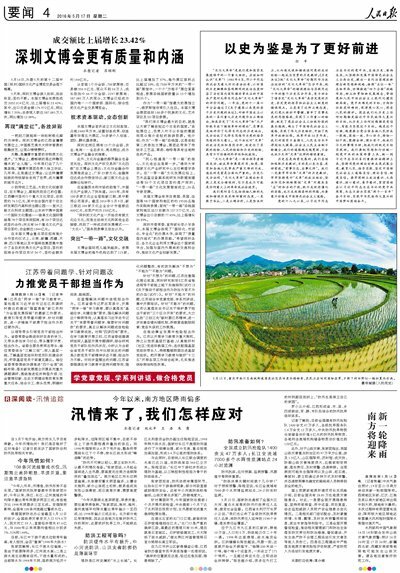 Meanwhile, down here in the provinces, local officials had to be wondering whether they should start taking action themselves in cyberspace and their own streets--and asking themselves what these developments said about Beijing’s ability to reach decisions and convey them clearly to cadres below in a timely manner. Finally, action began to be taken. Starting in the late afternoon and at a pace that steadily grew throughout the evening, social media posts began being removed. Qin Hui’s essay was deleted, as were a number of other longer pieces that tried to take a wide look. As the anniversary night got deeper, discussions about the Cultural Revolution were rolled up and shut down. Then, right before midnight, the commentary in People’s Daily appeared online, signaling local officials and national audiences that, in essence, the conversation was over; there would be no new dialogue; and that the expectation in Beijing was that the discussion had reached an end. It was likely that local cadres helped compel their political patrons in the upper echelons to finally do something. 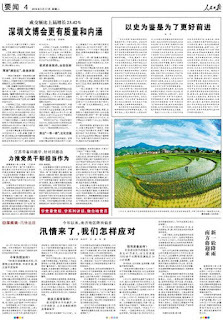 The following day—a day after the actual anniversary—the commentary that appeared online made the print edition of People’s Daily: It didn’t get front-page coverage but was relegated to page 4, which is unusual for “Ren Ping” pieces. Apparently, the hardliners got their essay; however they weren’t allowed to brag about it. At the end of the day, the decision to go ahead with the commentary may not have been a close call, but it was a situation created largely by the upper echelons trying to make a non-call. Given the sensitivity of the subject, perhaps that’s understandable. Still, the lack of zeal to come out fast and strong--that is, to put the Party’s imprint down for all to consider--reflects the current situation at the top of the political system here. That is, it’s not only history and the future that’s being argued among officials in Beijing; it’s the political present. That’s not really good news, no matter who's trying to write it.